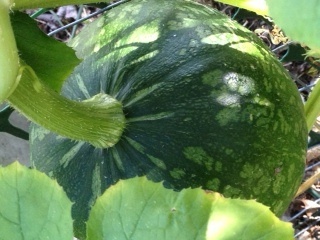 It is a transition time in the garden. 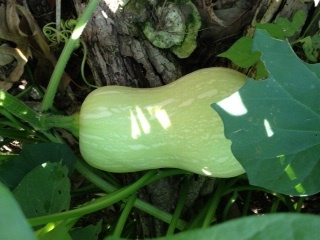 The “real” harvest is about to begin. 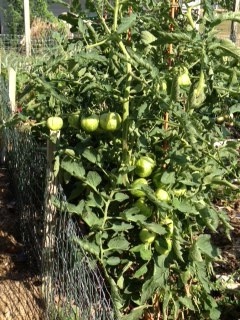 There are hundreds of tomatoes on the plants; I have a feeling they will all ripen at once! 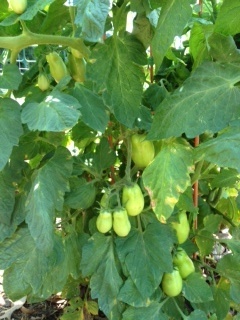 I am bracing myself for sauce-making, but also anxiously awaiting my tomato-cucumber salads! The few teasers that have ripened have been great simply cut up and sprinkled with a touch of salt. The peppers have all started producing – jalapenos, serranos and italian (pepperoncini). The italians are good to eat in salads or just plain. 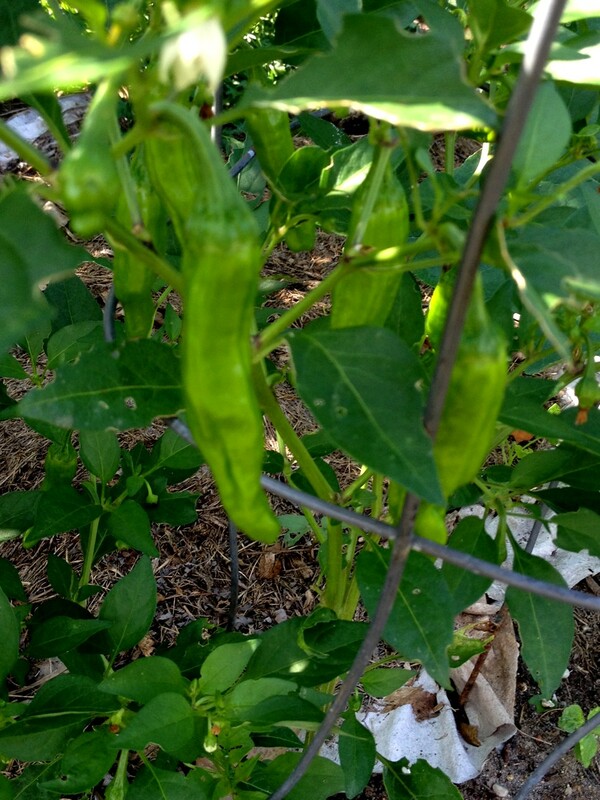 The plants are loaded (these pics are after I harvested), so I will be pickling jalapenos again. Can you pickle serranos? Would you want to? 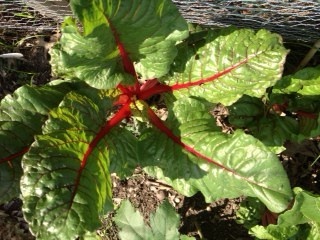 We still have rainbow chard – unbelievably! About 5 or 6 plants left. 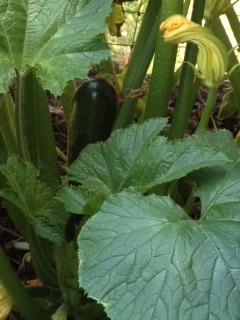 The zucchini are producing in batches; loads and then none until a week later. Just the right amount, enough to give a few away, but not so much that we are drowning in it. 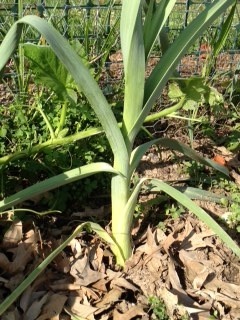 Leeks are still growing. I am so tempted to use the bigger ones, but I want to see how big they will get. 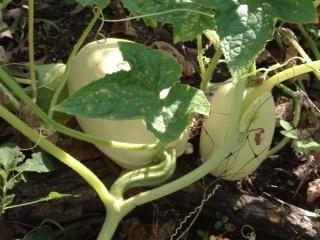 The sweet potatoes are doing well and the winter squashes have lots of fruits – spaghetti squash, butternut, and a mystery squash that looks like Kabocha (those would be volunteers from last year). I have found out what is ailing my cukes – the heat. It seems the plants just ‘shut down’ when the temperature stays over 90F for too many days. I am hoping they recover during this slightly cooler weather. There is nothing I can do but wait and see; and perhaps plant new seeds this weekend. Speaking of new seeds. 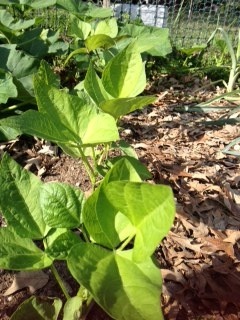 The re-planted bush beans are doing great! It looks like 3 different varieties have taken hold. Can’t wait to figure out which is which. And lastly, there are the okras. I love my okras, but I will leave that story to its own post. 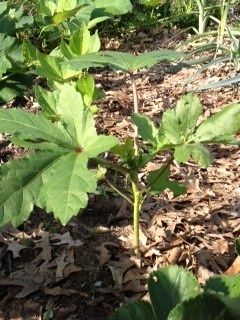 The okras are budding. By tje end of the season, these small plants will grow to be “trees” four to six feet tall!